California health officials warn that illegally made Mexican-style cheese is the source of a rash of Salmonella cases in recent months. Since November 2015, the cheese, made under unsanitary conditions and frequently sold by street venders, has been linked to 50 cases of salmonellosis primarily in Hispanic communities, said State Public Health Officer Dr. Karen Smith. Several people have been hospitalized. These cheeses are not safe to eat and should not be purchased and consumed. Purchase cheese that is only made by licensed manufacturers and kept in refrigerated cases at retail stores, the California Department of Food and Agriculture (CDFA) recommend. Symptoms of a Salmonella infection include stomach cramps, vomiting and diarrhea. These usually develop within six to 72 hours of exposure and last about a week. 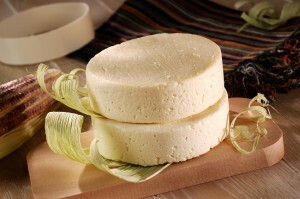 Soft cheeses, especially those that are unpasteurized, are a common source of food poisoning. They have been linked to Listeria outbreaks and Salmonella outbreaks in Illinois and Minnesota.